A brand which I have been trying out a lot lately is Wet n Wild, they are just so affordable and a lot of their products have been big hits with me. 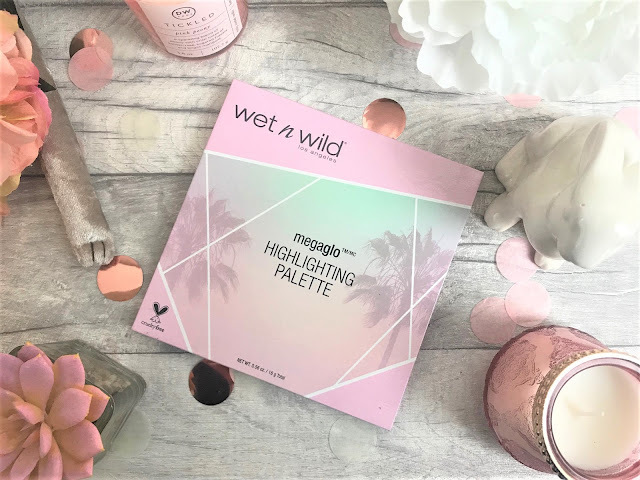 I recently spotted this absolute gem online and had to order it, let's take a look at the Wet n Wild MegaGlo Highlighting Palette. Baby pink packaging, palm trees, and all that good stuff, this palette is such a keeper. The pans are a great size, and they have tropical flowers embossed into them and the greatest thing about Wet n Wild? They're cruelty free. Gotta love that. 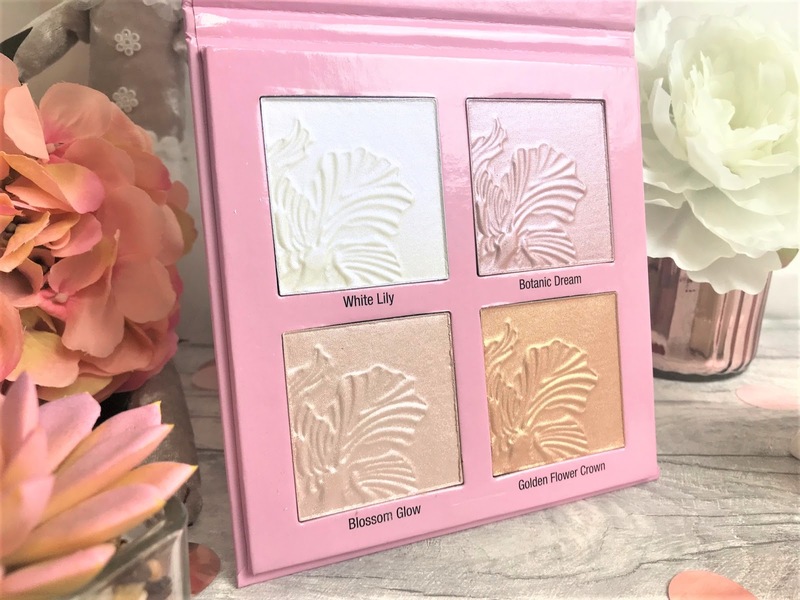 Wet n Wild do have these highlighters in single compacts, and I did pick one up last time I was in Orlando back in November, and it has been one of my most-reached-for highlighters since. The Wet n Wild highlighter formula is velvety soft, blends into the skin like butter and is full of pigment - you get a really great finish with these. Highlighter palettes can sometimes be a little difficult to buy as one or two of the shades may not suit your skin tone, but don't forget, these can be used as ultra shimmery eye shadows too, so you get the options to play around and see what works for you. This palette costs just £12.50, which makes each super-pigmented, large pan of highlighter just £3.13 each and I don't even think they sell them individually for that price, let alone in comparison to higher-end brands. 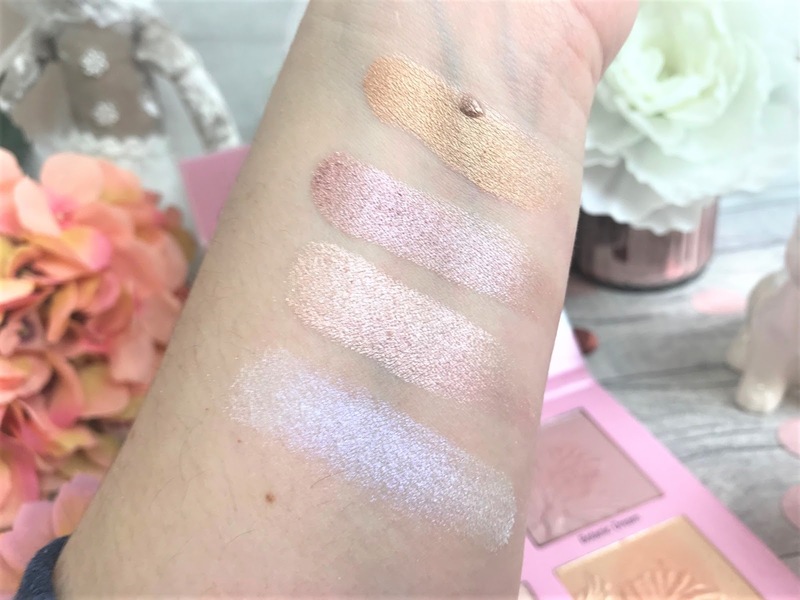 The shades included are a white shimmer, a pale pink, a rosy pink and a light gold, and they are really wearable shades. I have fair skin and used lightly, even the Golden Flower Crown shade works for me. You can find the Wet n Wild MegaGlo Highlighting Palette online at Beauty Bay.